Ever see the sign at a bar that says “Free Beer! Tomorrow”? 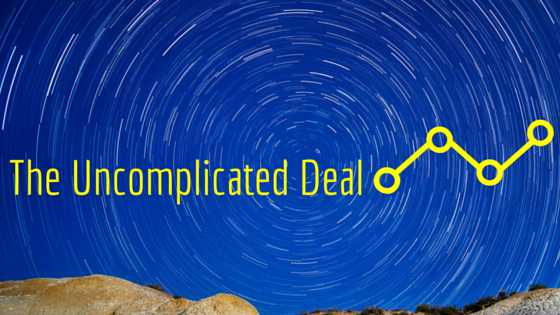 And what does it teach about Realtors generating website leads? “Free Beer! Tomorrow” is a joke. If you don’t get it, it means that the bar never has to give away free beer. 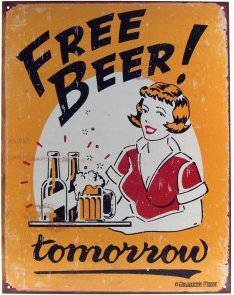 Because if you actually did go back tomorrow to ask for a free beer, then the bartender would point to the sign to tell you that beer isn’t free today…it’s free tomorrow. For some people the joke might take a little longer to sink it. The point is that tomorrow never comes. It is never today. This isn’t a lesson is philosophy, it’s the truth. Unfortunately, people apply “Free Beer! Tomorrow” to their lives all the time. As an example, people say they will start going to the gym tomorrow. It’s not a joke, because although they know they need to go to the gym, they never actually do. Tomorrow is also the day that many people will start their diets, or start to budget, or stop drinking Diet Coke, or begin to contribute to their retirement. So many good intentions start tomorrow. We all know those good intentions are really important to our health, our finances, or our lives. The same can be said for Realtors. Most Realtors know they need a website. Most Realtors have been told they need to blog. They know that a website and blog is really important for their business. But Realtors never have time today. They will start to look into getting a website tomorrow. Or if they already have a website, then they will start to blog tomorrow. Realtors aren’t unique. Tomorrow never seems to come for them either. A website is necessary to get leads from all of the people searching for homes or a Realtor on the internet. Realtors are too busy to get a website or even to start researching how to get a website today. They somehow don’t think they will be as busy tomorrow. Similarly, a blog is an important method to generate website leads from people searching the internet for information about real estate and the communities they serve. Realtors who have websites are too busy to start writing a blog today. They somehow don’t think they will be as busy tomorrow. Agent Sidekick can help you generate website leads and get you started on your blog today!